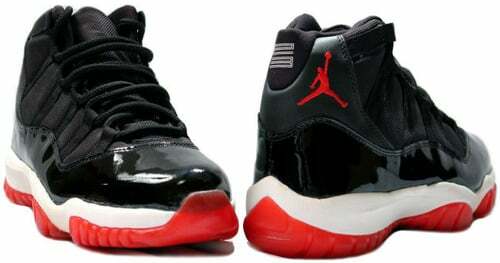 2001 brought the Air Jordan 11 (XI) Retro Black/Varsity Red-White aka Black/Red. 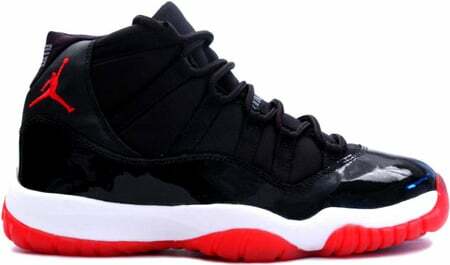 With the popularity of the Air Jordan 11 and the Black/Red colorway, the Retro sold out within a couple days. 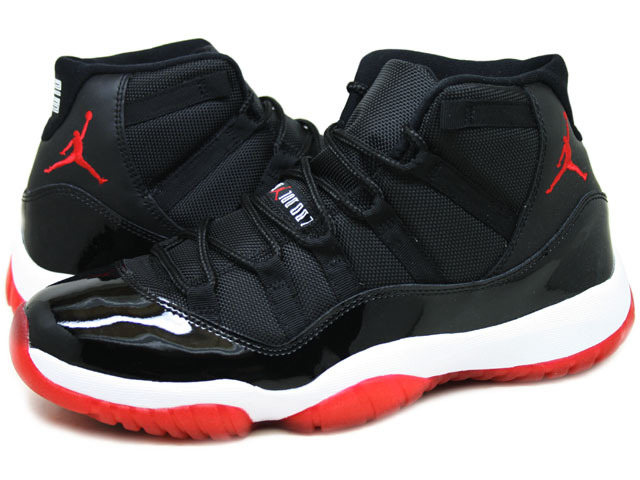 Retail for the Air Jordan 11 (XI) Black/Red was $125, but prices go in the $400′s. Although a popular shoe, and still is, the Air Jordan XI (11) can be purchased online in your size if you look in the right places.